Pilates is a rewarding and invigorating exercise program that can increase core strength and improve overall fitness and physical wellbeing. This kit includes a small Pilates ball, a 64-page instructional book and a video-streaming activation key to an exclusive online Pilates program that shows you how to improve your physical stability, strength and flexibility while keeping your body and mind aligned. 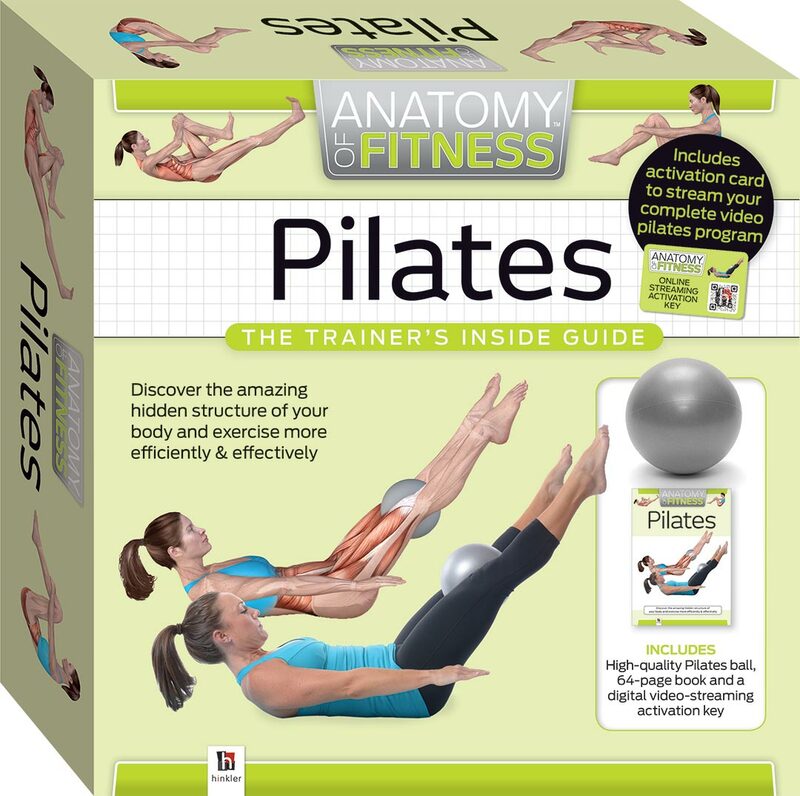 The book takes you step-by-step through a total-body workout sequence, engaging the core, back, legs and arms, and features comprehensive anatomical illustrations of the muscles used in each exercise. Each exercise includes clear guidance on the correct form, and contains hints and tips on exercising safely and effectively. Use this side-by-side with your Pilates video program!